“Magi Olagi” is a symptom of shamelessness in Oriya wisdom. It points out, whosoever obtains salutation or invitation by begging for the same is a shameless person. 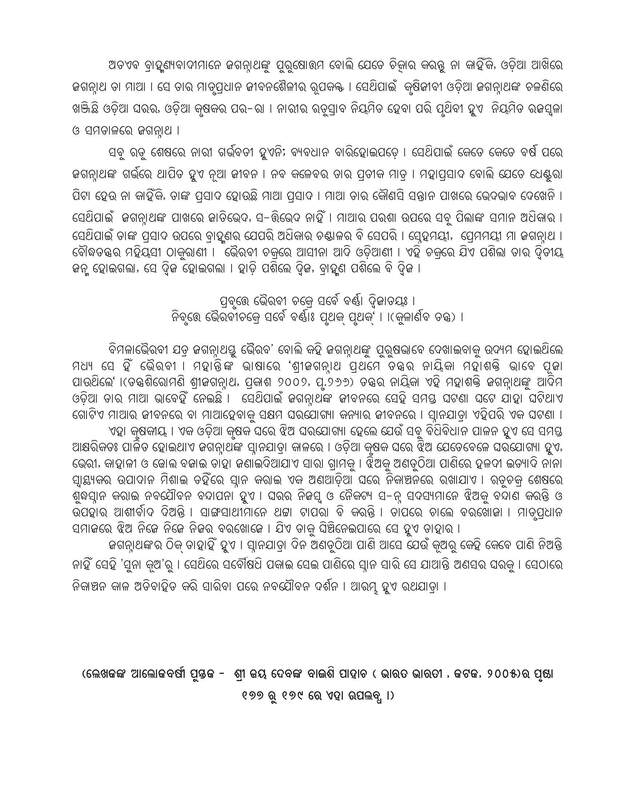 The anti-Jagannatha Sankaracharya has shamelessly obtained an invitation to go to the podium of bath (Snana Bedi) of SriJagannatha by blackmailing the inherently immoral and wicked government of Orissa that runs by a chief minister who has no knowledge on Orissa’s cultural heritage, even her language. 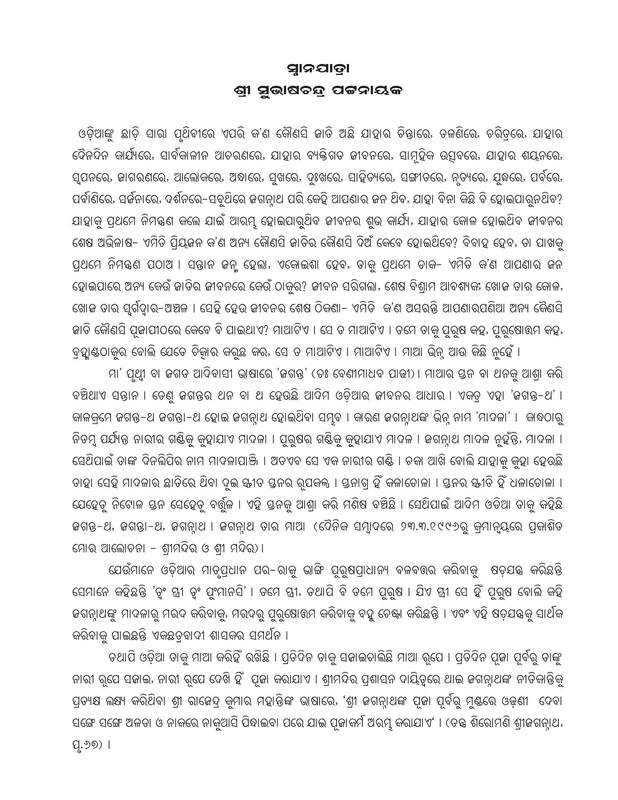 To make the Snana Yatra known on its real perspective I deem it proper to discuss the festival by posting an excerpt from my book Sri Jaya Devanka Baisi Pahacha. My Oriya visitors who would appreciate it may please help non-Oriya friends of their respective circles understand the phenomenon.